make sure your belongings are transported safely from your existing home to your new home. After a lot of preparation, moving day finally arrives and while you're checking off your lists about what to do and what not to forget, it becomes clear that this is the most stressful part of your move. Here are a few tips that can help you get through moving day without a hitch. It is quite common to misplace or lose your keys during the move. A set of spare keys should be made and kept in a safe place so that you can have a hassle-free move. Injuries, muscle strain and overall fatigue are common occurrences during moving day. 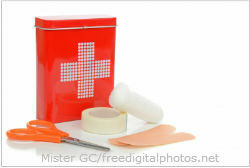 It is a good practice to stock up your first aid kit. Also keep your phone charged so that you can call a hospital or ambulance in case of emergency. A first night kit containing a flashlight, towels, blankets, toiletries, coffeemaker, can opener, easy-to-cook canned food, paper plates, trash bags and toilet paper should be packed and kept with you in the car. This will be especially useful for the first day after you move into your new home. The labelling on moving boxes should describe the contents of the box and which room it belongs in. For every room, arrange an "Open Me First" box containing the essential goods for that room. A list of all your goods along with the make, model and price should be noted. There is a saying that goes "A picture is worth 1,000 words," so it is a good practice to take pictures of your goods. It will also be helpful during the claim process, as it establishes the condition of these items. A little bit of planning and organization goes a long way. It is better to draw a floor plan for your new home that depicts clearly where things are to be placed. This will help movers to arrange your belongings quickly, saving you time and money. Children running here and there on moving day are susceptible to injuries, so it is better to hire a babysitter to watch your kids. Pets are an integral part of our lives and during the move process it's best to confine them to a room in the house that won't be frequently used. After the movers have moved in your electrical appliances to your new home, you should plug them in and check to make sure they work. This should be done for all critical appliances like the stove and fridge. If you find any appliances not working, your moving company may have to cover repairs or replacements depending on the insurance that you have taken. Keep around $20 to $25 for each person in the moving crew for their tips and also make sure to have money for any toll fees that you may encounter driving to your new home on moving day. A fix-it kit can come in handy for handling any problems like burned-out light bulbs, curtains that won't stay open and a leak at your new residence. The kit should be comprised of hand tools, duct tape, scissors, clothespins, extra towels, soap, candles and matches, a phone book and chargers for your phone. 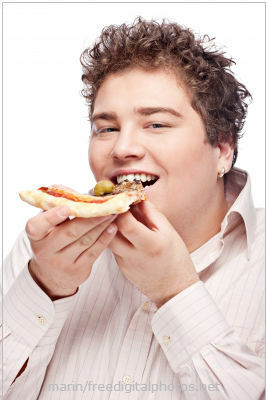 It is a good practice to provide food and drink to your movers, friends, and family who have helped during the move. This type of gesture goes a long way should you need to move again.